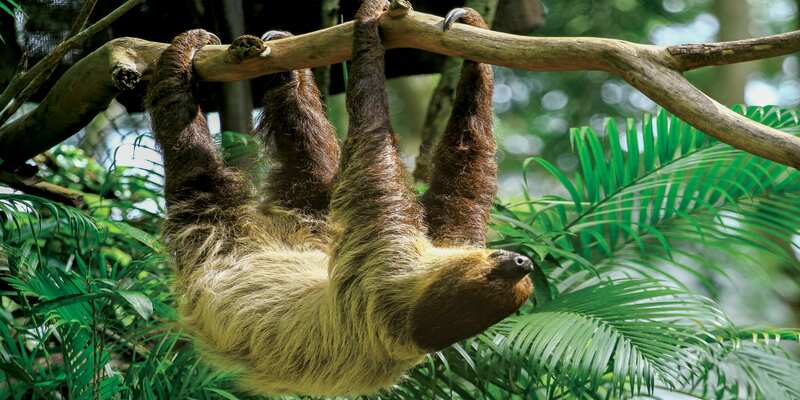 Little known Guyana is an emerging gem in the ecotourism market, with a lush interior, cascading waterfalls, virgin rainforest and tropical wildlife to rival the best nature destinations in the world. The country has one of the highest levels of biodiversity on earth and an incredible 80% of the land is covered by rainforest. An ex-British colony, the national language is English, though the culture is decidedly creole and has a definite Caribbean flavour. Like many former colonies in the Caribbean, Guyana is mad about cricket and locals will happily discuss the international scene with willing fanatics! Guyana has a substantial indigenous population- the Surama community in the heart of the country offers visitors a unique opportunity to experience traditional tribal life in the forest. A hammock camp will be your base for night walks, canoe trips and hikes through the forest to search for the incredible wildlife found in the area. 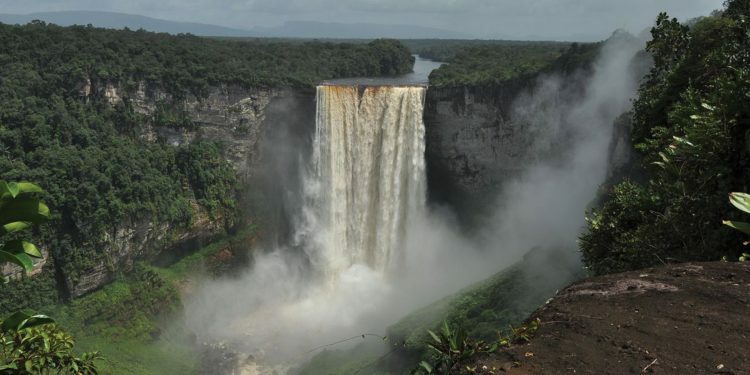 A highlight of any trip to Guyana is the amazing Kaieteur Falls- an immense single-drop falls much like Venezuela’s Angel Falls, set in misty jungle surrounds. 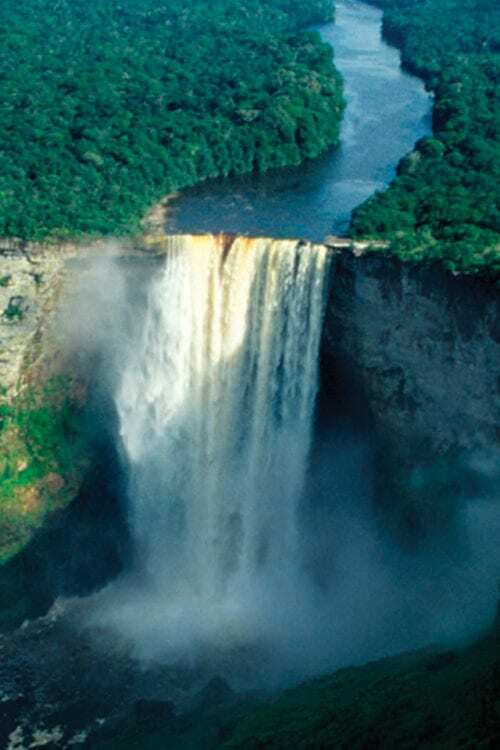 Unlike Angel Falls however, Guyana’s relative obscurity on the international tourism radar means that you’ll experience these falls all on your own- a magical feeling.